Today's push toward green technology can pick up some lessons from the past. That's one reason the Howard Miller Public Library in Zeeland will host interurban historian Norm Krentel's talk on mass transit at 7 p.m. Tuesday. An interurban is basically a mash-up of a trolley and railroad car, able to move quickly along an electrical network, during the early 1900s. "Interurbans kind of hearkened back to an era when we weren't so dependent on our automobiles. They provided a great means of transportation between relatively close cities," said Bob VandeVusse, the library's director. 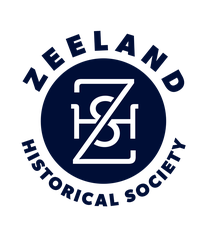 "We're excited, because it was an opportunity to collaborate with the Zeeland Historical Museum and talk about a topic that draws a lot of interest." Krentel, a Lansing native, is a retired AT&T engineer and a long-time volunteer at the Illinois Railway Museum. He is working to restore Michigan Railway Co. car No. 28, which once operated in the Saugatuck area. Krentel is conducting research for a book he plans to write on Michigan Railway's history. 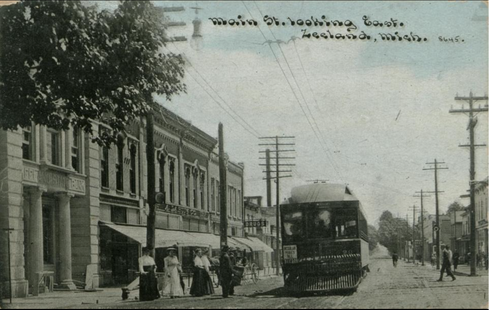 During his talk, Krentel will cover the line's history, focusing on Zeeland, where service took riders to Holland, Saugatuck, Jamestown, Grandville and Grand Rapids. In a note to VandeVusse, Krentel said he plans to bring a map of the entire Michigan Railway line as well as photos from the various West Michigan facilities. One of the line's stations still stands in Zeeland, he said. WHERE Zeeland's Howard Miller Library, 14 S. Church St. These days, modern-day mass transit planners are looking at similar concepts, he said, pointing to Grand Rapids' new Silver Line. An interurban is "a kind of concept like the commuter trains that run in and out of Chicago now, which shows how the past can be prologues, to borrow a cliché." he said, recalling that his Grandma Hermina Ortman, a widow, used Holland's interurban cars to get to and from the South Shore Drive homes she was hired to clean. "That was her means of supporting herself and my mom," he said. The library's banquet room can hold more than 100 people, he said, and those who would enjoy Krentel's talk include families, train buffs, students of all kinds, history buffs and anyone interested in transportation issues.